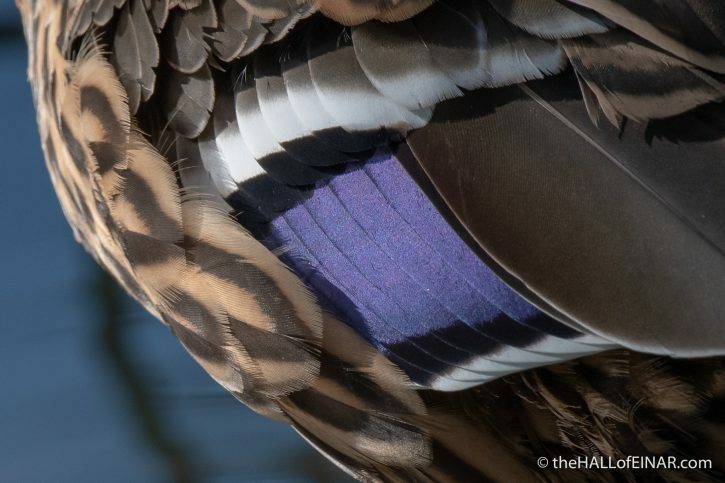 This female Mallard duck is showing a very distinctive wing patch. It’s called a speculum. No, not that kind of speculum, it’s not a medical tool for examining orifices. It’s a bright wing patch, which is presumably why the Latin word speculum, meaning mirror, is used to describe it. In Mallards it’s a beautiful intense purple colour, with a black border and white lines at top and bottom. Given how cryptically coloured many female ducks are, and how similar they look, it’s probably a good guide for males to find a mate of the right species.